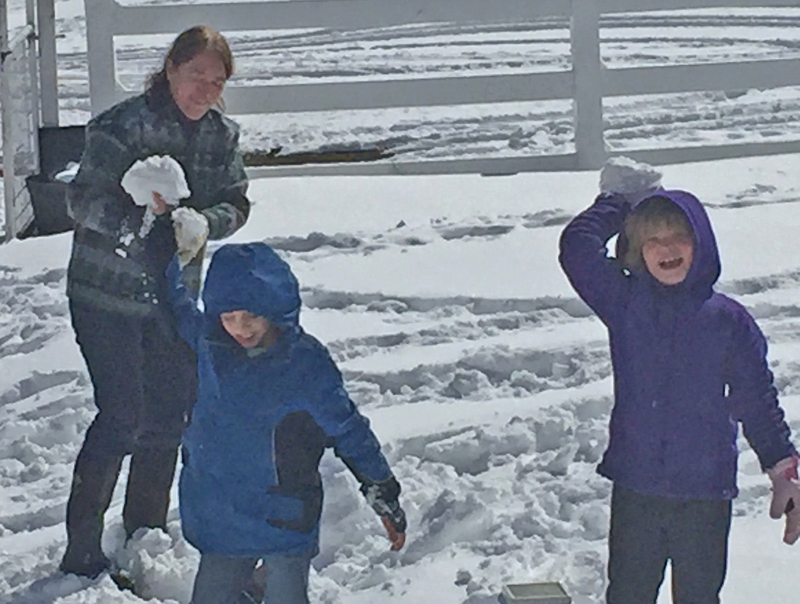 Today, we decided to take advantage of the new snowfall, and build another snowman. 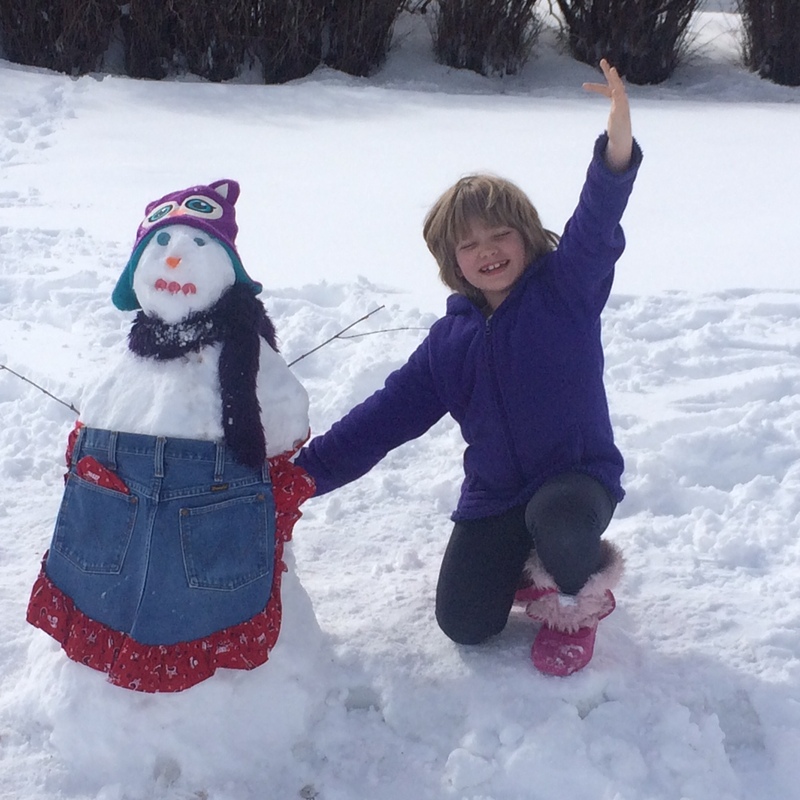 Maeve, 7, said that since we had already built a snowman, it was time to build a snowwoman. The snow was stickier than when we built the snowman, so this made the construction easier. Seamus, 9, studied the complexities with the analytical talents he has learned from building Lego structures, and figured out how to make buttons (from my Mom’s vintage button box) work for lips and eyes. Maeve helped me gather up pink and purple accessories. You go, Maeve–and Seamus for solving the engineering problems!